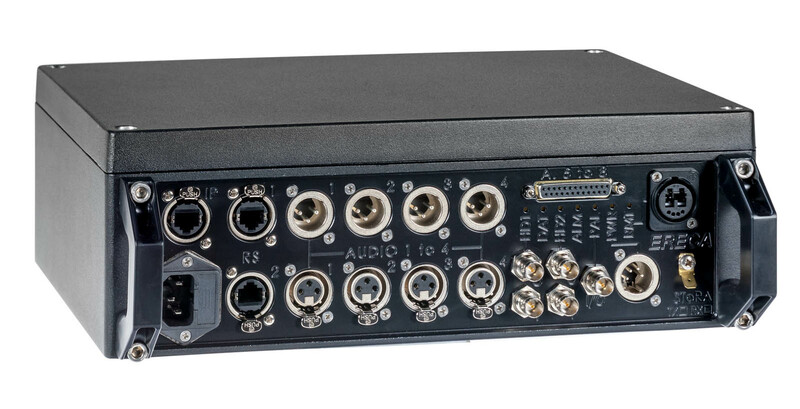 The STORA 2 is a very rugged optical fiber transmission intended to connect 2 outdoor cameras to the OB VAN. Its capacity allows two standard cameras or one 3D camera per system. All the signals are transmitted on 2 singlemode fibers. Camera side module; STORA 2 RX can be remote powered through Hybrid cable. STORA 2 offers also the access to two free optical fibers, through SC/APC optical connections.